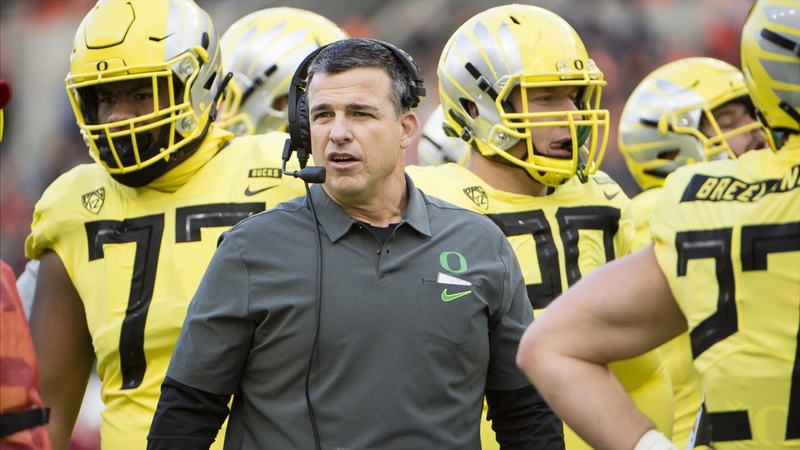 EUGENE, Ore. – Fans can get their first look at Oregon football in its second spring under head coach Mario Cristobal on Saturday, April 6, when the team holds an open practice at Hillsboro Stadium just outside of Portland. The open practice is free and open to the public. The open practice will mark the midway point of the allotted 15 spring practices for the Ducks and is scheduled to get underway at noon. Gates will open at 10:30 a.m. and fans can enter the stadium through Gate A or Gate B. Admittance to the open practice is a first-come basis with a capacity crowd of approximately 7,200, including 3,500 seats that are covered. Backpacks will be searched when entering the stadium while outside food and drink is not permitted except for water. Concession stands will be open and parking around the stadium is free. In necessary, overflow parking is available in the northwest advance lot just two blocks from the stadium. Oregon will hold its annual spring game on Saturday, April 20, inside Autzen Stadium at 2 p.m. Fans are encouraged to bring three non-perishable food items to donate when entering the stadium. The game will be shown live on the Pac-12 Network. Season tickets go on sale Monday, April 1, starting at $365. For more information visit www.GoDucks.com/fbtix. Returning 17 starters off a team that went 9-4 in Cristobal’s first season, Oregon was ranked as high as No. 9 in early preseason rankings headed into the 2019 campaign following its Redbox Bowl win over Michigan State. The Ducks will also usher in the No. 6 recruiting class in the nation, according to ESPN.com, good for the best class in program history.